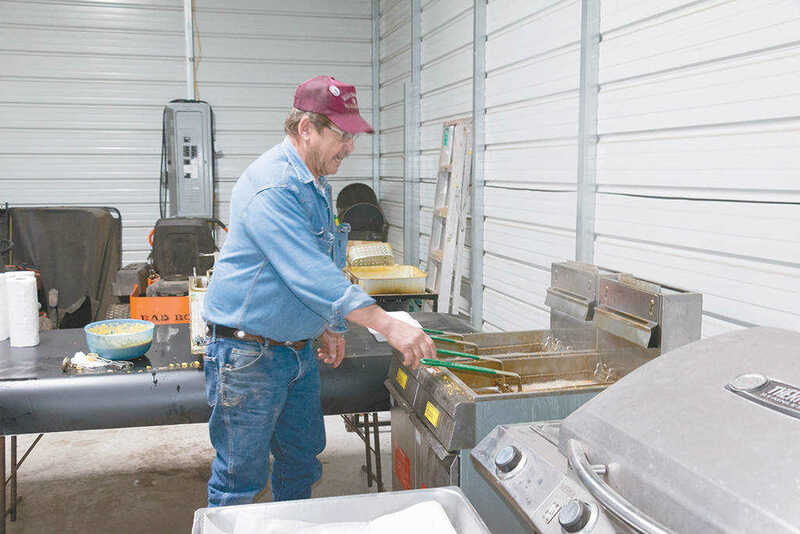 Steven Pauley tends to the fryers at St. Mary Catholic Church's fish fry Friday evening, March 3. 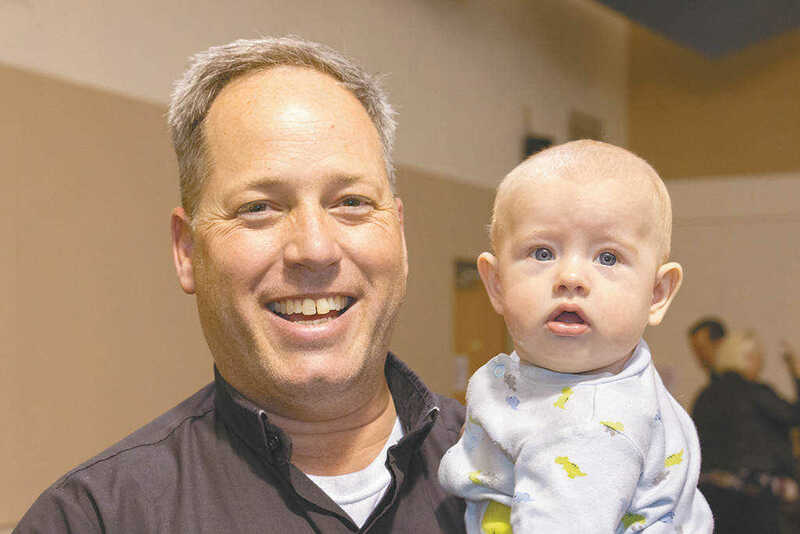 St Mary's will host a fish fry each Friday evening through April 7 from 5-7 p.m.
St. Mary's pastor, Father Matthew Benjamin, with one of the parish's newest members. 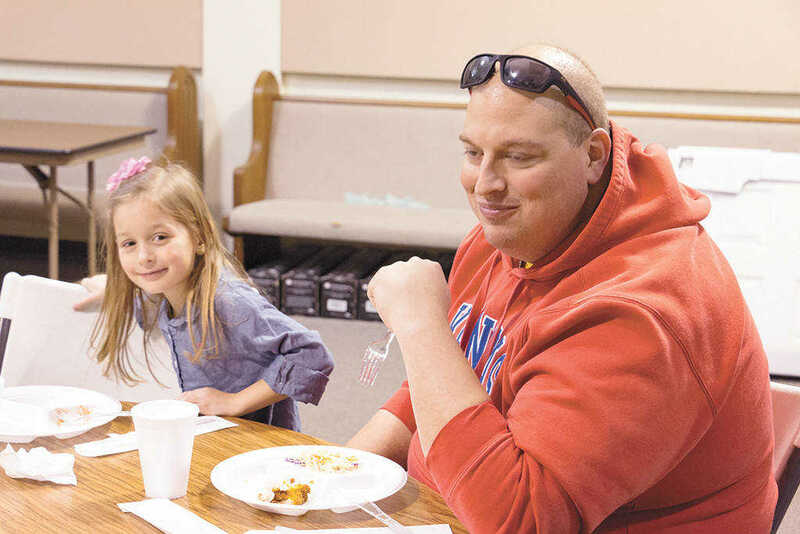 Michael Pommier and his daughter Natalie enjoy supper at the St Mary's Catholic Church Lenten fish fry Friday evening.